This is the final article in a blog series I’ve been writing all about food sensitivities, allergies, and intolerances. 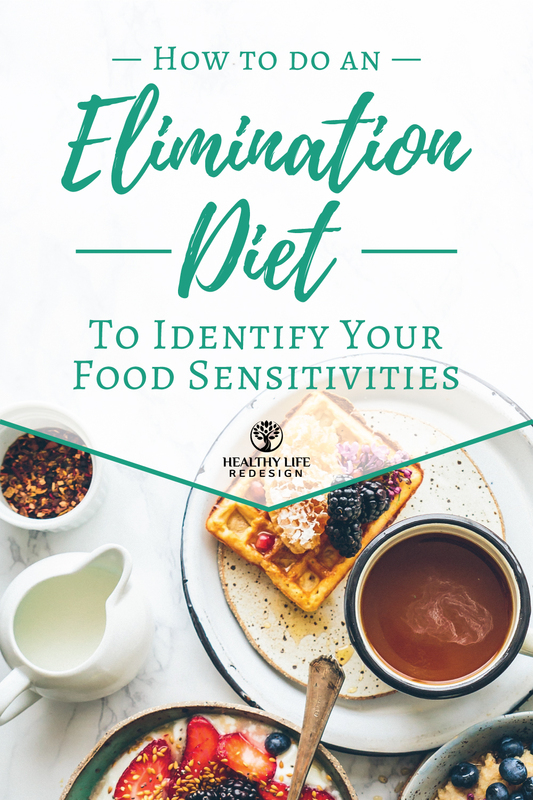 In this post, I’ll be teaching you how to do an Elimination Diet to identify your food sensitivities! An Elimination Diet is a nutrient dense diet that enables you to identify whether there are specific foods causing your fatigue, bloating, weight gain, digestive upset, IBS, joint pain, headaches, eczema and more. The diet is divided into an Elimination Phase, in which the most common food triggers are avoided, followed by a Reintroduction Phase in which each food is tested back into your diet one at a time. If food sensitivities are causing your symptoms, we anticipate that they will improve or resolve during the Elimination Phase of the diet. At that point, typically 11-21 days later, the foods that had been avoided may be reintroduced back into your diet one at a time while monitoring to see which food(s) cause your symptoms to recur. Those foods that cause symptoms to arise are your food sensitivities! Though my years in practice, I’ve found the completion of an Elimination Diet to be the most effective method of helping my patients to identify their food sensitivities. Properly completing an Elimination Diet can be transformative to your health and it provides you with firsthand evidence as to how specific foods may be causing or contributing to your symptoms! The meals and snacks that you get to enjoy on an Elimination Diet consist of foods that are rich in vitamins, minerals, and antioxidants. At the same time, potentially inflammatory foods are avoided. This enables your body to balance hormones and alleviate inflammation while also helping to correct potential nutrient deficiencies. Most people typically feel light, energized and vibrant within only 10 days of beginning the Elimination Phase of the diet! My patients often tell me they feel like “a cloud has lifted” and that they notice a mental clarity that they haven’t experienced in years. I experienced the same results when I first did an Elimination Diet. At the time I was struggling with acne, eczema, anxiety and chronic sinus congestion. I had tried all of the latest cleansers and peels to clear up my skin, as well as herbs and different remedies for my anxiety, but NOTHING seemed to work. My immune system was also struggling and I’d catch several colds per year that would drag on for weeks. To make matters worse, despite getting 8 hours of sleep each night I felt SO TIRED all the time! Often my first thought on waking up each morning was how excited I was to crawl back into bed that night. Surprisingly, at the time I really didn’t think that my health was that bad. I assumed that it was normal for people to experience these kinds of symptoms (at least to a certain degree) and I thought that my bad skin was an unfortunate result of my genetics. I also assumed that brain fog and fatigue were something that the majority of people had to deal with. After all, if it was just me who was so sleepy each morning there’s no way that the Starbucks lineup would be so long! This was around the time that I embarked upon the journey to become a naturopathic doctor. Of the many amazing things I learned throughout my schooling, I was especially intrigued the day that we started learning about food sensitivities. I resonated with so many of the symptoms on the list….fatigue, bloating, digestive upset, anxiety, brain fog, sinus congestion, frequent colds, acne, eczema, joint pain, headaches…could this possibly be the cause of all of my symptoms? I was so excited to determine if I might have any food sensitivities, yet initially I was also quite skeptical! For one, as an aspiring naturopathic doctor, I thought that I ate reasonably healthy. I was also surprised that I had never heard of these reactions before… was it really possible that my diet could be leading to all of the symptoms I had been experiencing? It took me nearly TWO YEARS to finally decide that it may be a possibility, at which point I hesitantly embarked on an elimination diet. For the first 2 weeks, I avoided potential food triggers like wheat, dairy, eggs, soy, corn, citrus, and nuts. I was hopeful that some of my symptoms would improve during the Elimination Diet, but I was still skeptical of whether or not this would be the case for me. Needless to say, I was surprised yet completely thrilled when within only 2 weeks my skin cleared up, my energy level soared and for the first time in years, I wasn’t experiencing the brain fog and chronic anxiety that I had begun to accept as “normal”! My experience with an Elimination Diet changed my life by teaching me the enormous influence that simple changes to our diet and nutrition can have on our overall health and wellbeing. By personalizing my diet, I gained so much more energy to do all of the things that I love in my life! My mind felt calmer, my sugar cravings subsided and I no longer felt bloated or self-conscious about my previously acne-prone skin. As an additional bonus, I lost almost 10 pounds in 2 weeks (nearly all of which had been water retention and puffiness due to inflammation). This greatly improved the comfort and confidence I experienced in my own body! I imagine that as you read this blog post you may currently be feeling similar to how I did years ago. 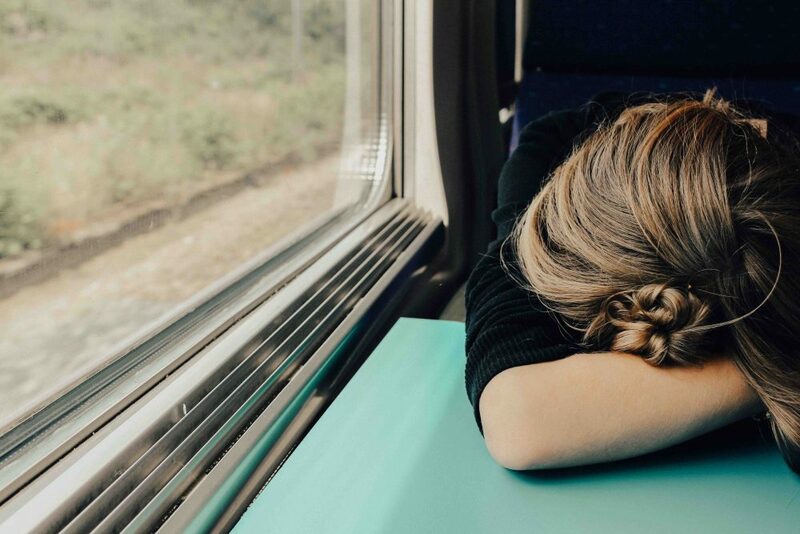 You may be tired and frustrated with your health, and you may also be wondering whether your symptoms are just a normal part of life that everyone has to deal with. They are not, and this is where I’m here to help! Completing an Elimination Diet is an amazing way to identify whether the foods in your diet are fueling or fooling your body, and personalizing your diet is the most effective way to start improving your health and energy! The Elimination Diet begins with an Elimination Phase, in which the most common food triggers are removed from your diet. During this phase, you will be fueling your body with nutritious foods including vegetables, fruits, seeds, healthy fats, wild-caught fish and lean meats (unless you are vegetarian). The Elimination Phase helps you to gently detoxify your body, clear inflammation and correct any potential nutrient deficiencies. In my experience, this is the quickest and most effective way to help my patients support their overall health and energy! I structure the Elimination Phase to be 11-21 days in duration. This provides your body time to clear inflammation and allows for your chronic symptoms to resolve if they are caused by food sensitivities. 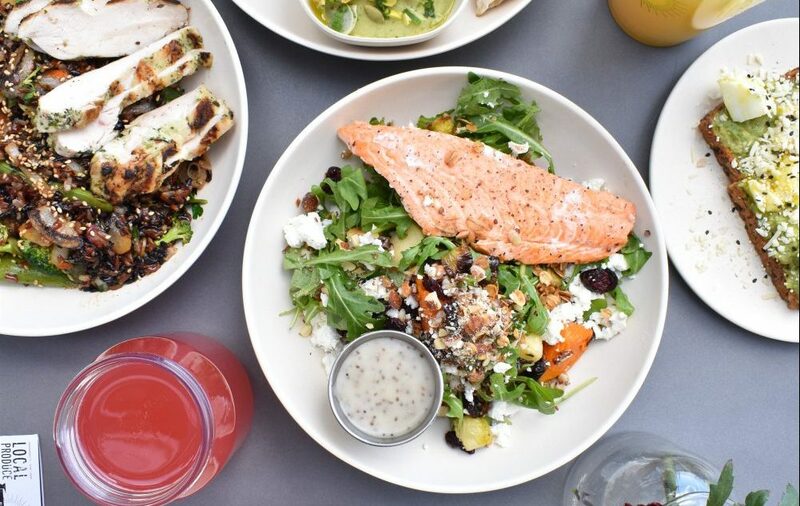 If you’re feeling fabulous by day 11, then you can move on to the Reintroduction Phase and begin testing the foods that had previously been eliminated. Otherwise, you should continue with the Elimination Phase until your symptoms have cleared up or have largely improved. The majority of my patients feel dramatically better within only 11 days, especially if their primary symptoms are fatigue, bloating and digestive upset. If you have any autoimmune conditions, chronic pain, or skin conditions like acne or eczema, it may take longer for you to experience a pronounced change and I suggest committing to 21 days on the Elimination Phase. Once you have completed 11-21 days of the Elimination Phase and are feeling fabulous, it’s time to figure out which foods have been dragging you down! Through the Reintroduction Phase, you will be reintroducing and testing the foods that were removed from your diet. The goal is to strategically reintroduce the foods in a manner that will allow you to identify adverse reactions that you may be experiencing to a particular food or food group. During the reintroduction process, you will be reintroducing one new food or food group every two to three days. 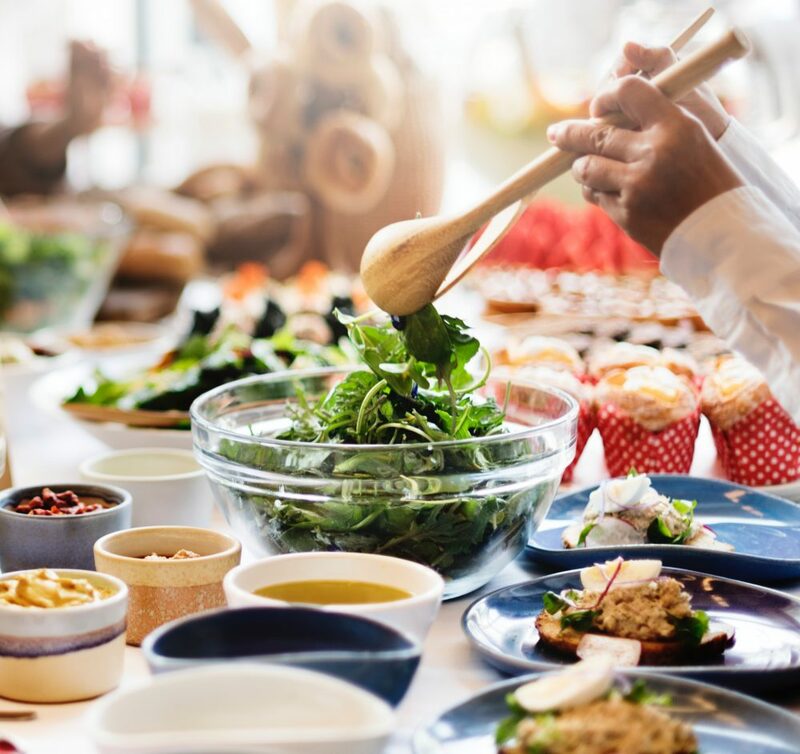 Since food sensitivities are the result of a delayed immune reaction, this schedule will allow for time to watch for any symptoms that may develop from reactions to that food. Moving too quickly through the Reintroduction Phase can lead to confusion as to which food is actually leading to your symptoms. Be patient and make sure to journal or chart the foods that you are testing along with how you are feeling each day. Pay attention to vague symptoms you may experience like headaches, fatigue and sinus congestion, all of which can be indicators of an activated immune system. These symptoms, and others like anxiety and muscle pain, are often ignored or assumed to be unrelated when they are actually highly associated with food sensitivities. Journaling your symptoms and energy levels as you work through the reintroduction of foods will help you identify any reactions or changes. Which Foods are Eliminated and Tested with an Elimination Diet? If an Elimination Diet is done correctly you will only ever need to complete this process once and you will equip yourself with invaluable information as to how food is affecting your health! During the Elimination Phase, you will be entirely avoiding the foods listed above. This allows inflammation resulting from immune reactions to these foods to decrease sufficiently so that you will feel your best. You will need to read labels thoroughly to ensure that packaged foods do not contain any of the above ingredients. For the Elimination Diet to be successful it is important that you are fully adherent to the process. Even small amounts of these ingredients sneaking into your diet can prevent you from feeling your best during the Elimination Phase since they will continue to fuel the inflammatory fire. Alcohol is another source of inflammation and ideally you will want to avoid (or at least minimize) your alcohol consumption throughout the diet. It’s especially important to avoid alcoholic beverages containing ingredients that are to be avoided during the Elimination Phase. For example, you will need to fully avoid beer because it contains wheat and other gluten-containing grains that are to be eliminated. Once you enter into the Reintroduction Phase, I suggest testing the foods in the order listed above. The list is organized in regards to what I find to be the least to most commonly reactive foods. This makes testing easier because it typically means that less time is required earlier in the diet to “reset” after positive food reactions prior to moving on to the next food group to be tested. 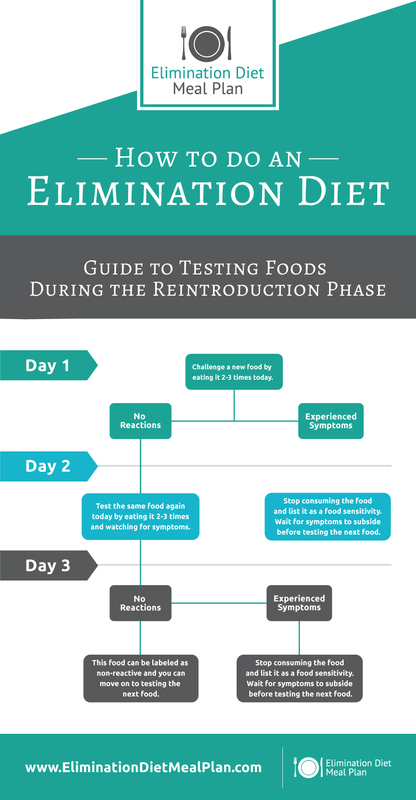 On day 1 of testing a new food during the Reintroduction Phase, you should eat that food 2-3 times in significant portions. 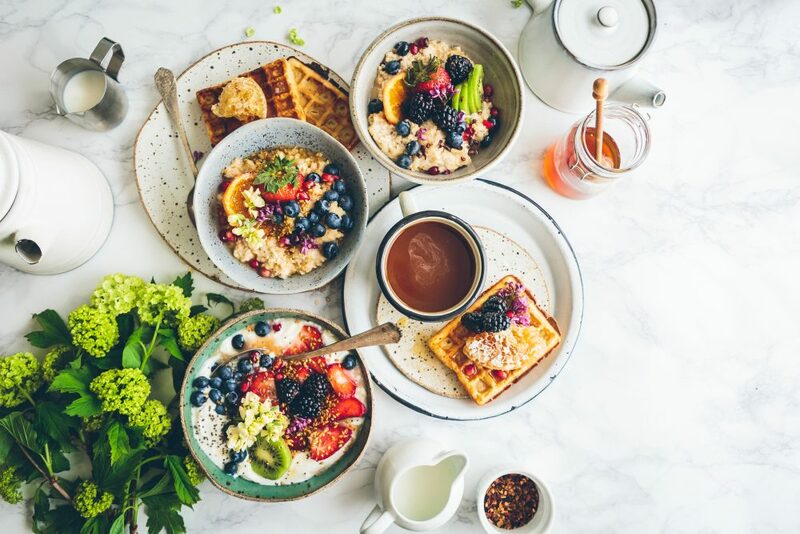 Ideally, you want to consume the food earlier in the day (at breakfast and lunch) so that you can monitor whether you develop symptoms throughout the rest of the day. Reactions can take up to 72 hours to become apparent, so taking two to three days to test each food ensures that you do not get confused as to which food is causing your symptoms. If you have not noticed any changes in how you’re feeling by day two, you should eat that food again two to three more times. If you do not have any symptoms by the morning of day three, that food is considered “safe” and non-reactive. You can then move on to the next food to be tested. You’ll want to keep track of how you feel each day and record any changes in your journal. If at any point during the testing you notice symptoms arise, you should discontinue eating that food and wait for the reaction to subside prior to moving on to testing the next food. The food that causes your symptoms can be marked as one of your food sensitivities or triggers. Note that even if a food is determined to be “safe” when tested, it is recommended to keep it out of your diet while testing other foods. This helps maintains a consistent baseline and also prevents more processed foods from gradually creeping into your diet and potentially leading to symptoms that may confuse your results. If at any point while testing a food you start to experience symptoms, this is considered a positive test for food sensitivities and you should stop consuming that food. It’s also very important to note that you should not test a food back into your diet if it’s already a known allergy or sensitivity. Completing an Elimination Diet will provide you with a clear understanding of how each food is affecting your health. Do you know whether the foods you’re eating as part of your everyday diet are fueling, or fooling, your body? The Elimination Diet Meal Plan – An Online Program that Makes Completing an Elimination Diet Easy and Enjoyable! The completion of an Elimination Diet enabled me to dramatically improve my own health. It also helped me to realize the enormous importance of teaching my patients a more personalized approach to nutrition! Over the years I’ve become extremely passionate about this mission and my passion fueled me create an online program called the Elimination Diet Meal Plan. The Elimination Diet Meal Plan includes over 70 delicious recipes that I created specifically for an Elimination Diet, easy-to-follow weekly meal plans and grocery lists for all phases of the diet, detailed ingredient guides, information on dining-out, symptom tracking questionnaires, weekly motivational emails, and more. 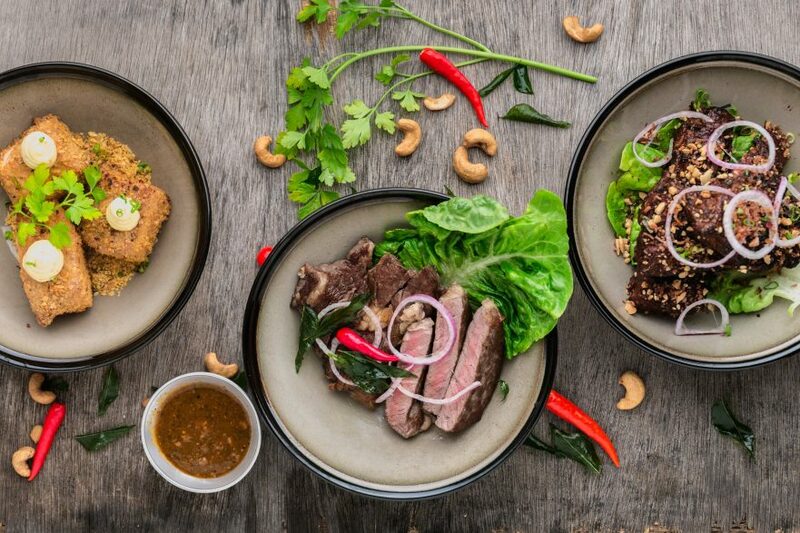 The online program is suitable to meat-eaters, vegetarians, and vegans and it makes completing an Elimination Diet simple, delicious and enjoyable! Now, I’d love to hear from you! Have you completed an Elimination Diet before? Do you wonder whether you may be experiencing food sensitivities? Please share your own experience in the comments below! Also, make sure to scroll down to see and pin my infographic on how to complete an Elimination Diet!